When CEO and Founder Bernardo Chua began ORGANO™ in 2008, he was already a businessman and network marketing executive. Bernie, the name he is affectionately known by, has been honored as one of the most successful businessmen in the Pacific Rim, receiving the Dangal ng Bayan Award for Business and Industry, the National Shoppers Choice Award for food supplements and Direct Sales Company of the Year award on five different occasions. What makes ORGANO™ unique is Bernie’s vision and commitment to bring treasures of the earth to the people of the world. For the first five years of ORGANO™, the treasure focused on the ancient Chinese herb known as Ganoderma. Bernie became one of the first to market the herb successfully with coffees and teas outside of the Asia region. His success continues and as the company expands, Bernie and his product development team are continually bringing additional treasures and product lines to the people of the world. This mission has made ORGANO™ one of the fastest growing network marketing companies in the industry. It’s widely believed that nobody has sold more Ganoderma infused products than OG’s Co-Founder, Shane Morand. As Co-Founder of ORGANO™, Shane spearheaded the development of the compensation plan, sales training, leadership development and global expansion plan. His ability to motivate and develop leaders all over the world has been a blueprint for ORGANO™ Leadership and is responsible for growing the leadership that propelled Company expansion into six continents within five years. Shane has worked directly with some of the industry’s most high-profile speakers and trainers – including Anthony Robbins, Zig Ziglar, Jim Rhon, Les Brown and Dr. Mark Victor Hansen. An enthusiastic student of Napoleon Hill’s success principles since he was just a teenager, it was Shane’s vision and passion for leadership development that was instrumental in forging the ORGANO™ exclusive collaboration with The Napoleon Hill Foundation. As Chief Financial Officer, Awie Kardiman has global responsibility for all accounting and financial operations, as well as risk management operations for ORGANO. Awie is a seasoned finance professional who started his career in Asia with a Big 4 accounting firm. From there, he joined Asia Pulp and Paper, a multi-billion dollar manufacturing and distribution group of companies, conducting business in more than 100 countries. In 2007, Awie relocated to North America to take a senior management role and became the Chief Financial Officer for several companies in the region. Awie received his B.A. in Accounting from Universitas Trisakti, and is a designated accountant (CPA, CMA) in British Columbia, Canada. Awie is also fluent in Indonesian. As Senior Vice President, Global Operations, Norm Perrett is responsible for ORGANO global operations strategy and execution, and corporate expansion. He is responsible to ensure that all markets meet and maintain government and regulatory requirements as well as the ethical standards of ORGANO. Norm has opened over 35 markets in six years at ORGANO. A veteran of the network marketing industry, Norm has over 30 years experience in all area of operations – including administration, customer service, logistics, distribution, government and regulatory affairs, quality assurance and legal. As Senior Vice President, Global Administration and Distributor Services, Shella is responsible for building a dynamic working environment and sustainable personnel infrastructure, global call centres and distributor systems that allow ORGANO to provide high quality distributor and customer services and achieve its business goals. Formally, she is responsible for human resources, customer and distributor experience and services, business relations and services and overall corporate management and administration. Yet, Shella is a key advisor to the CEO as well as all departments within ORGANO to ensure that the mission of the company is fulfilled. Shella is one of the very first ORGANO employees, starting as a part-time at the Company’s inception in 2008. She worked side-by-side with the CEO and Founder to build the company from one product out of a one room office, into one of the largest network marketing companies in the industry. Shella earned a bachelor degree in Nursing from the University of Alberta in Canada. Prior to joining ORGANO, Shella worked as a Registered Nurse specializing in Neonatal Intensive Care Nursing. As Vice President , Policy Implementation, Shannon Hewitson is responsible for ORGANO global compliance. This includes working with company executives, leadership and government agencies to ensure that the Company and leadership continue to operate within the legal guidelines of its markets and within the highest ethical statutes of ORGANO. Continuing a distinguished 20+ year career in the network marketing industry, Shannon’s executive responsibility at former industry companies has included country operations, regional sales and client services and regulatory affairs and compliance. Shannon has been recognized for her leadership by several consumer protection agencies including; Ombudsman, Better Business Bureau and the Chamber of Commerce. She has taken an active role in the industry, shaping policies on fair and ethical business practices at the Direct Selling Association. Shannon graduated from Ryerson University with a degree in Human Resource Management, has a Business Applications Certificate from the Toronto School of Business as well as an Accounting Diploma from Humber College. As Assistant Vice President Logistics, Stephen Ang is responsible for the supply chain management of ORGANO including, transportation, stock control, warehousing and quality control across the enterprise. Stephen joined ORGANO in 2008 and has over 8 years of experience in logistic management for consumer goods companies in Asia and North America. As one of the very first ORGANO employees, Stephen developed company logistics through the growth of the Company. Stephen earned a Bachelor degree in Business Administration and Management from the College of St. Benilde. 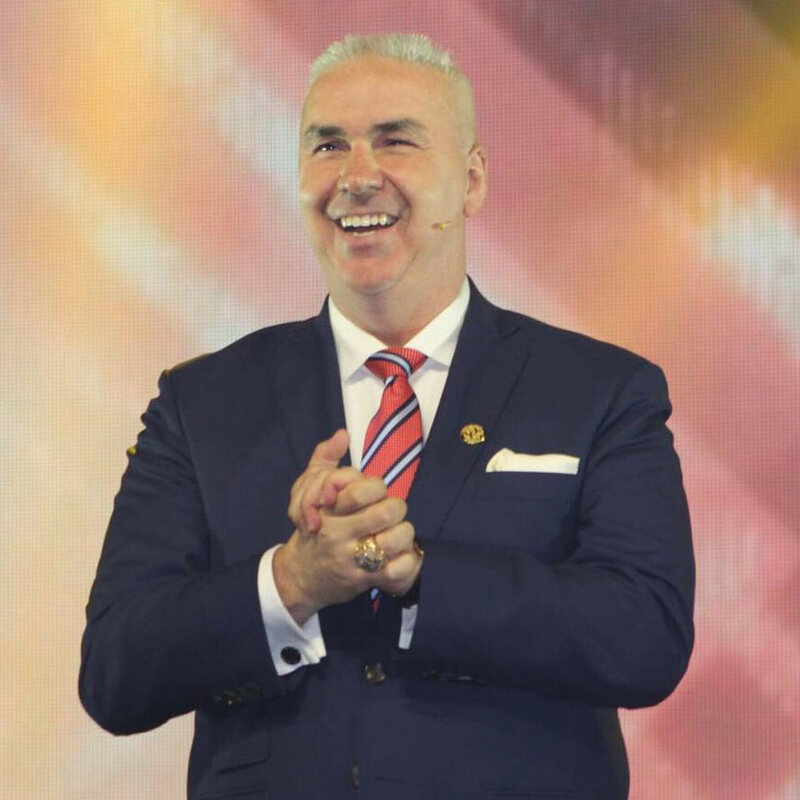 Colin Morgan-Jones joined ORGANO as Regional Vice President, Europe, Africa, Russia/CIS and the Middle East. He is responsible for all facets of the Company’s business in these regions. With over 20 years of experience in the direct selling industry in various servant leader roles for multi-billion dollar private and NASDAQ listed organizations. Colin has an extensive and solid record of achievement throughout Europe and Russia/CIS. His expertise includes merging international best practices with local cultural business dynamics. Colin has been responsible for commercial expansion, field cultivation, as well as acquisition and strategic business development initiatives, in his former positions – all with strong, sustainable, quantifiable results. Colin is a lifelong student of Network Marketing; committed to changing lives, supporting others achieve their goals and ambitions. He has a degree in Business Administration and Management from South Notts College. Colin is a husband and father, he enjoys cooking, reading and has a keen interest in golf and rugby. As Regional Director, ORGANO Latin America, Rodolfo Vargas oversees all facets of ORGANO’s business in Mexico, Central and South America. Rodolfo was appointed to this position in September 2016 after building operations in Mexico to the second largest ORGANO market. Rodolfo has over 19 years of professional experience in directing, operating and managing new or existing companies. He has specialized in international and direct sales companies for the past 12 years in Mexico and Latin America. Rodolfo earned a degree at the National Polytechnic Institute (IPN – UPIICSA) in Industrial Engineering, specializing in Planning and Control, and also he has studies at the Instituto Tecnologico de Estudios Superiores de Monterrey (ITESM) in Business Strategies, Systems Quality management and Foreign Trade and Customs. Subhajati Angsuvarnsiri, Country Manager, Thailand, Myanmar, Laos and Cambodia is responsible for operations, strategy, sales and marketing, as well as building and enhancing the relationships with Thailand, Myanmar, Laos and Cambodia’s top sales leaders. With over 20 years of experience in the direct selling industry, Subhajati has held numerous executive positions in the region prior to joining ORGANO in 2013. In November 2015, Subhajati was honored by Thailand’s HRH Crown Prince, Maha Vajiralongkorn, for his countless contributions to the society of Thailand as not only a businessman, but as a humanitarian. Subhajati earned a degree in MBA from Boston University. 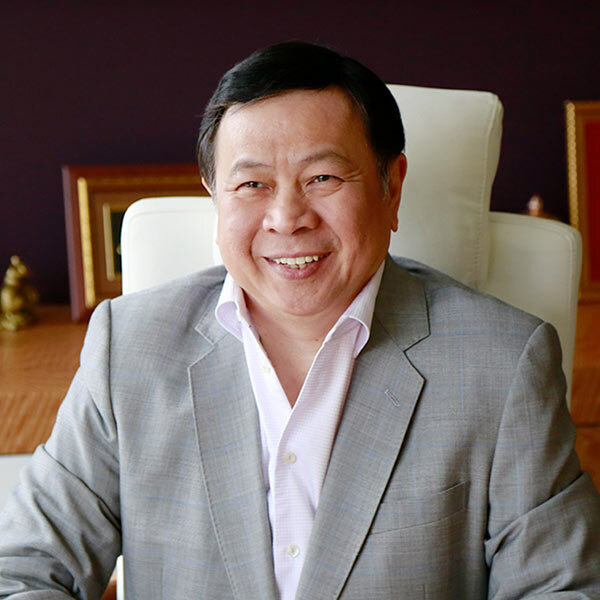 He has served as President of the Boston University Alumni Association in Thailand for 6 consecutive years, and remains an active committee member of the American University Alumni Association in Thailand under a Royal Patronage. Subhajati has also served as First Vice President of Thailand’s Direct Selling and Network Association. Always giving back, Subhajati is an active member and one of the main donors of the Community Children’s Foundation (known as CCF) under a Royal Patronage of HRH Princess Maha Chakri Sirindhorn.